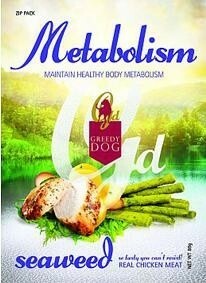 Greedy Dog delivers the highest quality human grade products to our consumers by manufacturing our Greedy Dog products in a human consumption manufacturing facility. It's more than just a treat! 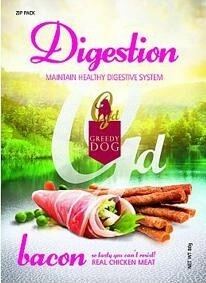 Greedy Dog® delivers the highest quality human grade products to our consumers by manufacturing our Greedy Dog® products in a human consumption manufacturing facility. Whether it is dry food, wet food or treats, we believe your pets deserved the best quality foods that used high quality ingredients and rich in nutrition. 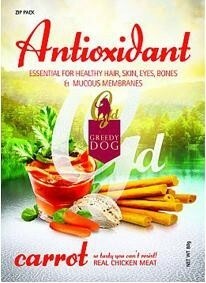 Greedy Dog® is scientifically formulated to meet your dog's needs for a healthy snack. 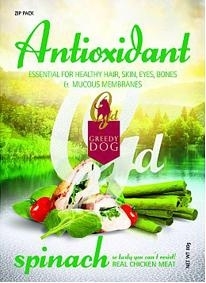 Greedy Dog® are used and respected by trainers, breeders, veterinarians, kennels and pet owners worldwide. Available in 7 great flavours!